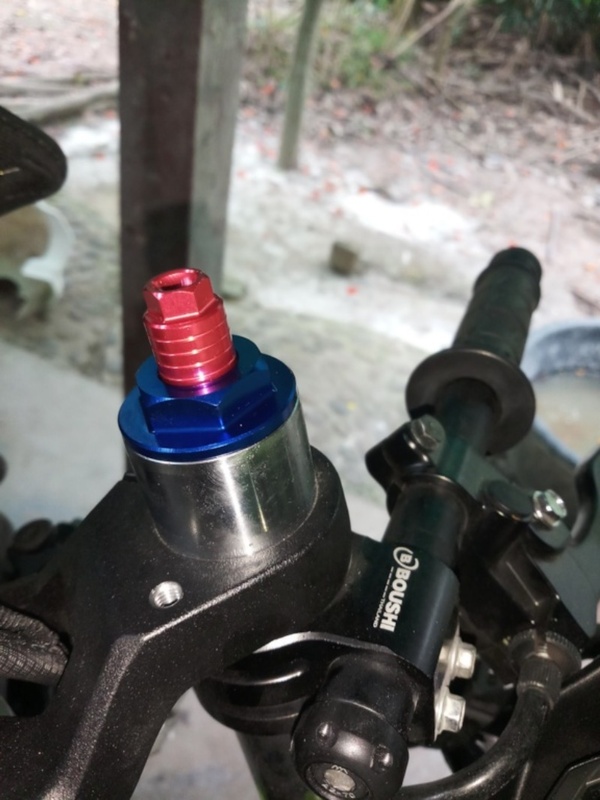 These fully functional preload adjusters replace the blank end caps on the stock Ninja 400 front suspension. 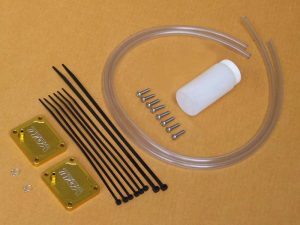 These caps allow the rider to increase the amount of preload on the internal springs, allowing for a better set up for your riding style or conditions. 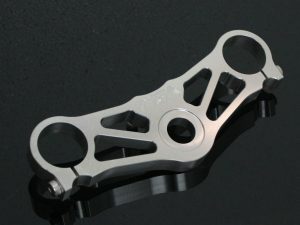 Essential for spirited riding through the twisties or track days and racing. 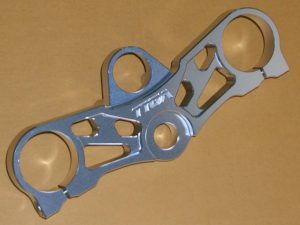 This modification allows preload to be increased from the stock setting by 12mm. 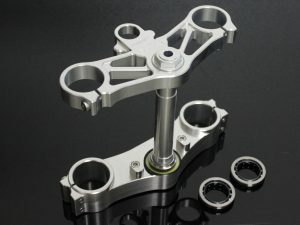 The minimum setting gives the same preload as stock. 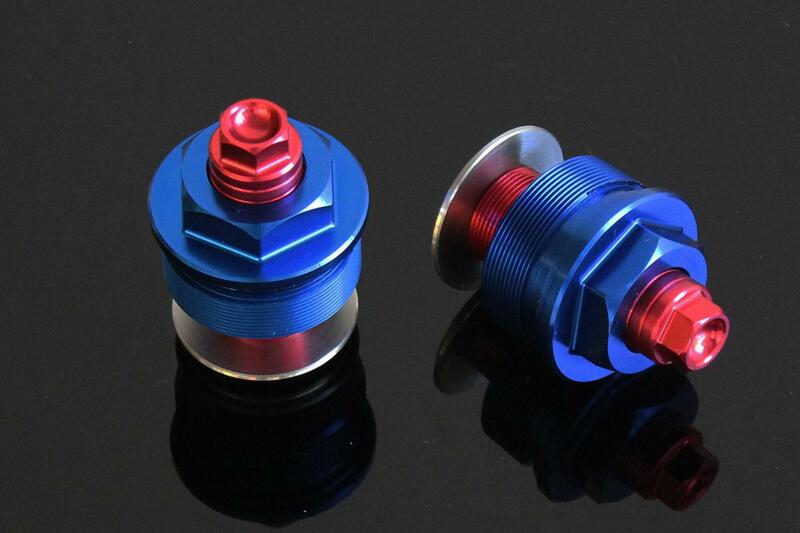 Supplied in Blue and Red anodised finish, these adjusters are as beautiful as they are functional.